A Fun-filled Vacation for Less. 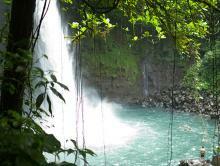 Want to experience the best of Costa Rica but are trying to stick to a tighter budget? Fear not, this custom Costa Rica adventure vacation package is exactly what you’re looking for. You won’t have to sacrifice your bucket lists plans as we have combined two of the greatest destinations in Costa Rica into one fantastic and affordable package. Start out by taking a trip to Arenal and the La Fortuna area, famous for the cone-shaped volcano, hot springs, and a never ending supply of adventure tours. Stay at one of our more popular hotels, Volcano Lodge. The hotel will serve as your base for heading out on a horseback ride, or just relaxing in a thermal spa. Next stop – Manuel Antonio! Costa Rica’s most popular destination situated on the Central Pacific coast is known around the world for its stunning wildlife, white sand beaches, adventure activities, and also the restaurants that line the winding road to the national park. 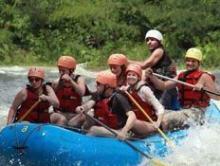 Here you will stay at the world famous Falls Resort and go on a Class II-III Rafting tour on the Savegre River. Going on a dream vacation doesn’t have to be a nightmare for your wallet. What’s included in ‘Affordable Adventure’? Your affordable Adventure will begin as you fly into San José where one of our representatives will meet you and show you to your private transfer. 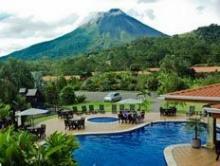 From there, travel to La Fortuna, where you will stay at the Volcano Lodge. Experience Arenal from the skies! 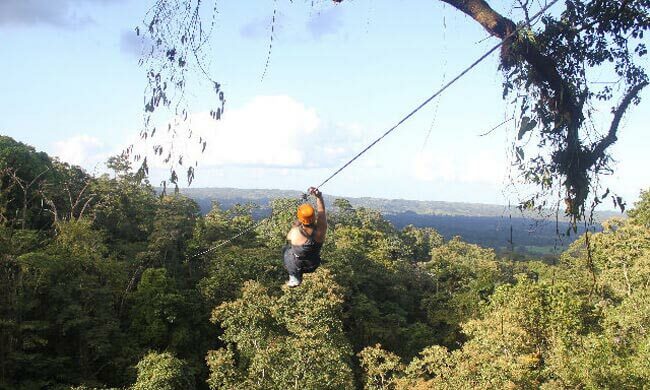 Take a tram trip to the treetops and then soar through the forests on an exciting zip lining tour. See wildlife and nature up close, and don’t forget to try out the Tarzan swing! Go horseback riding across the plains of Arenal and then make your way to the extraordinary La Fortuna Waterfall. Take a swim in the natural pool and revel in the overwhelming natural beauty of this spot. 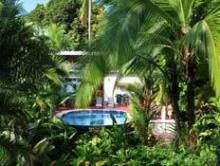 Take a shared transfer to Manuel Antonio beach where you will stay at The Falls Resort. Enjoy your stay at The Falls Resort. Lounge by the pool, enjoy the gourmet restaurant or head out and explore Manuel Antonio. Go on a rafting tour along the wild Savegre River. As you navigate Class II-III rapids over 13 miles, keep your eyes open for the jungle wildlife this area has to offer! Use this day to relax or head out on another adventure tour. 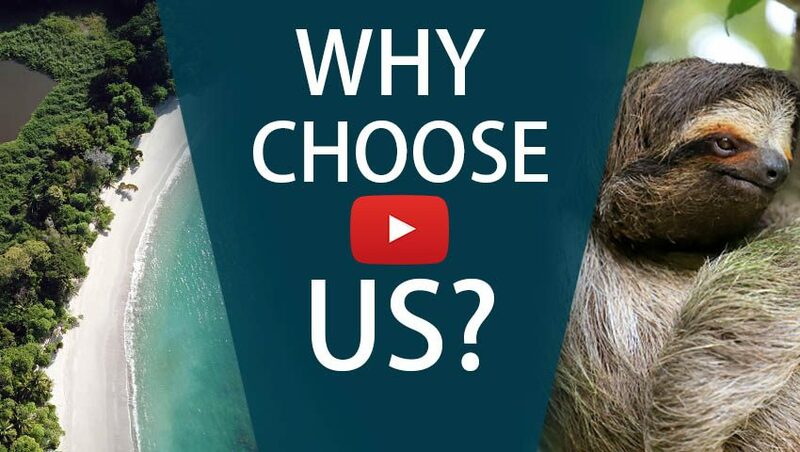 We’d be more than happy to organize something for you. Take a private transfer to San Jose where you will catch your flight back home. This hotel is a great value, ideal for families and couples that want a comfortable stay near the volcano while being mindful of budget.